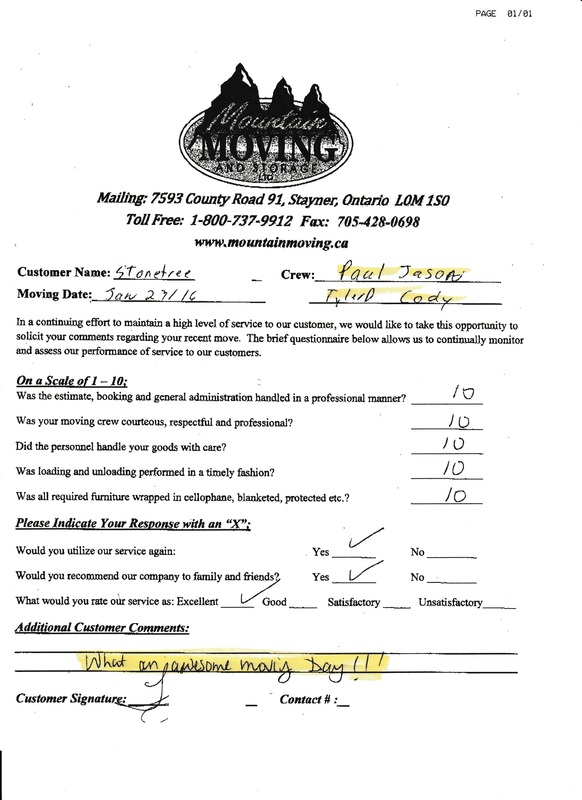 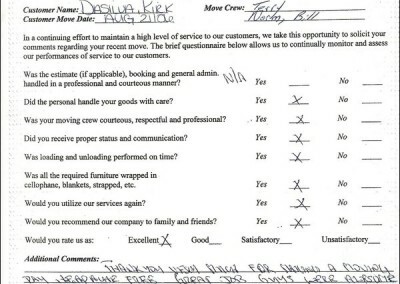 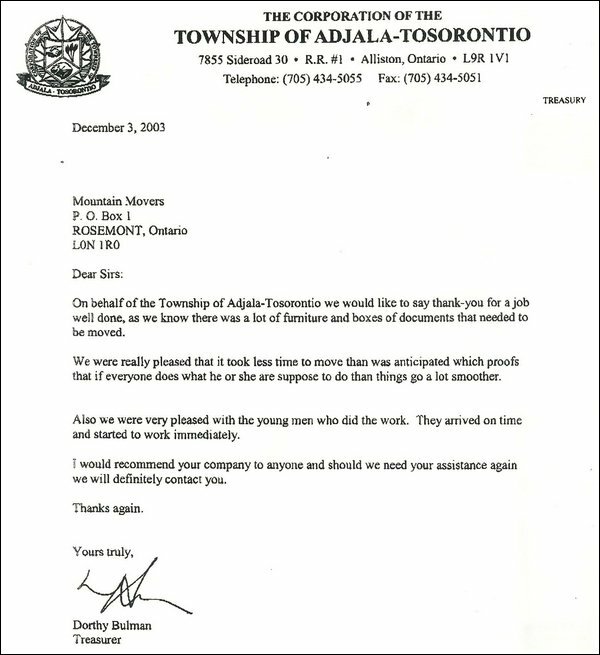 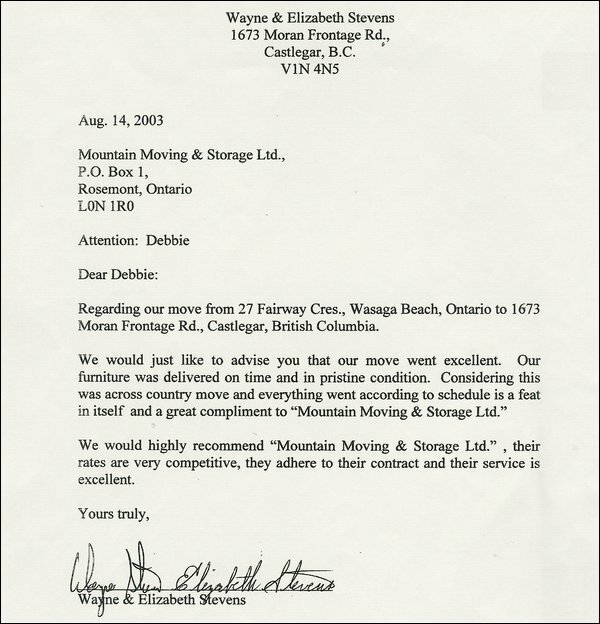 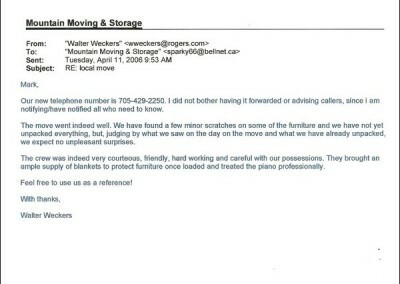 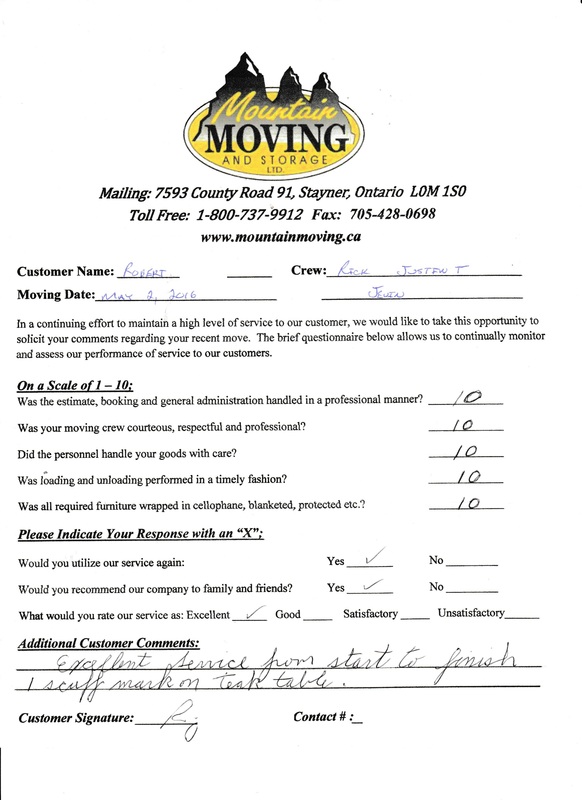 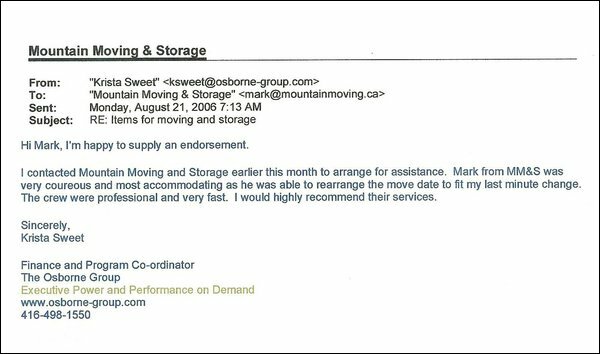 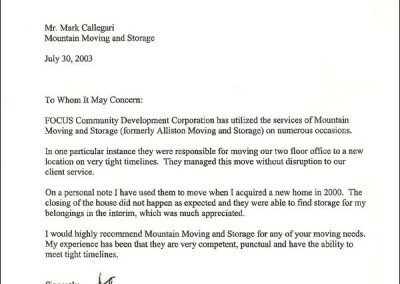 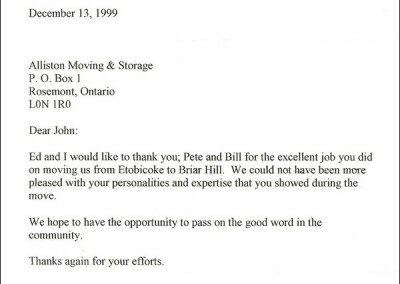 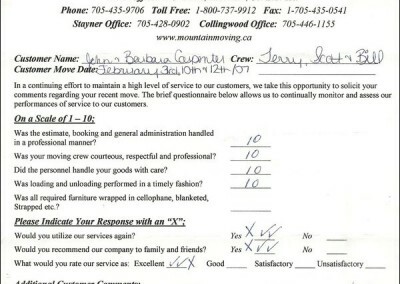 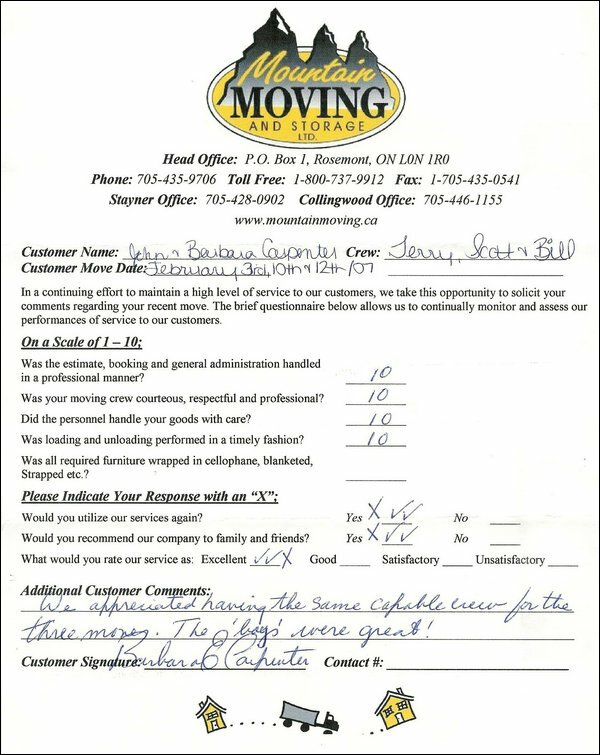 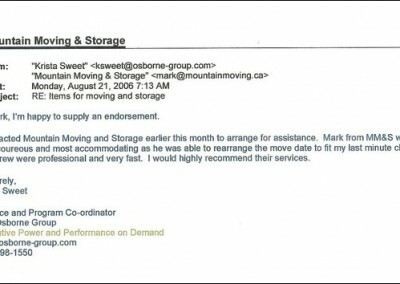 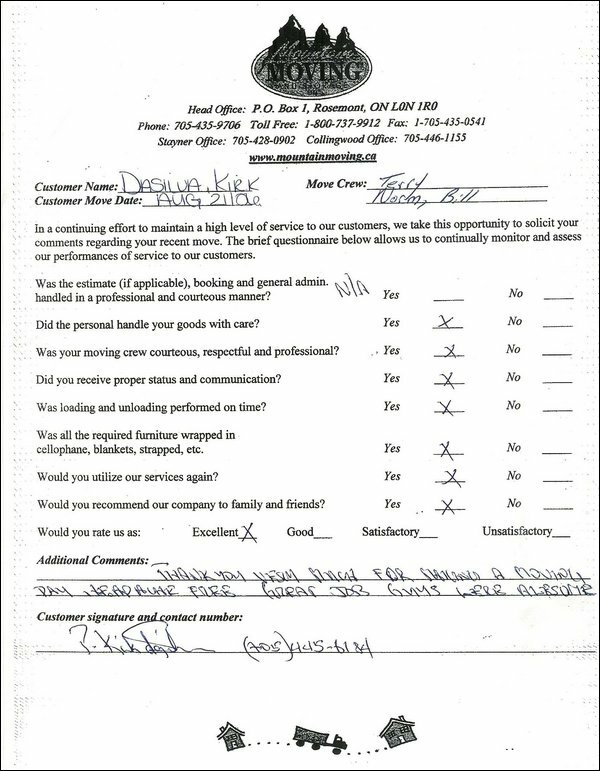 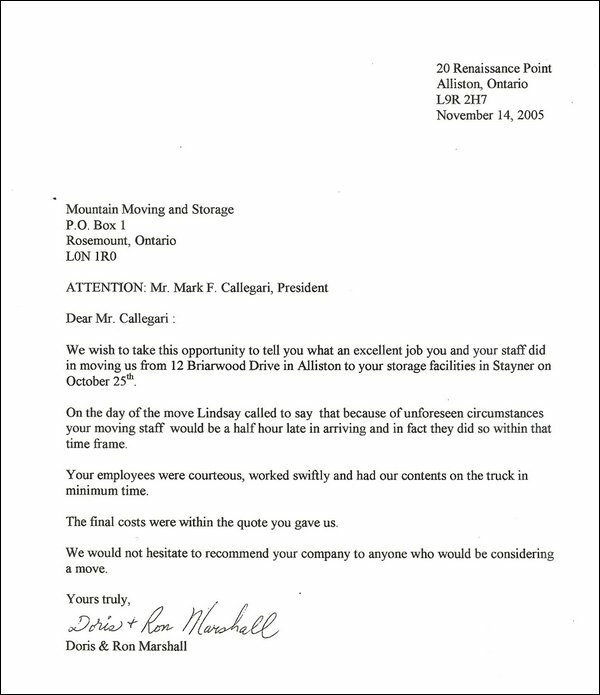 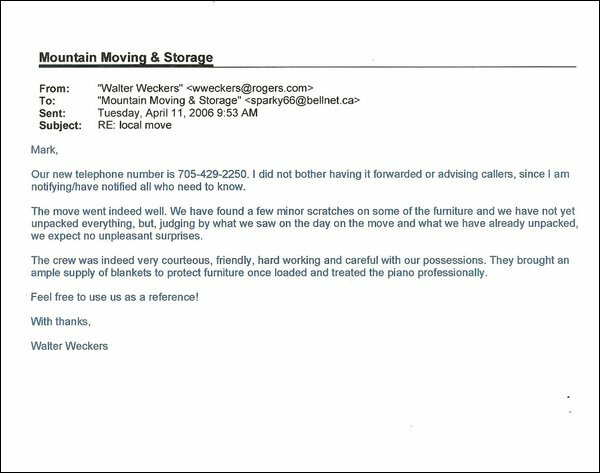 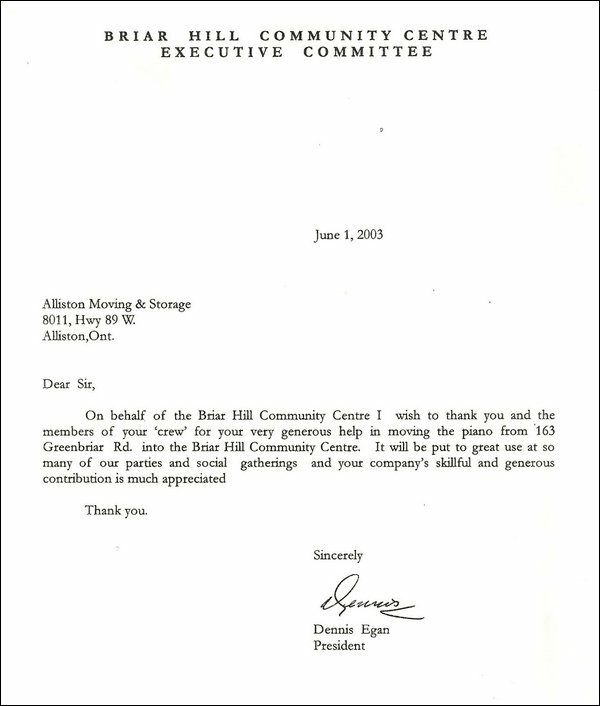 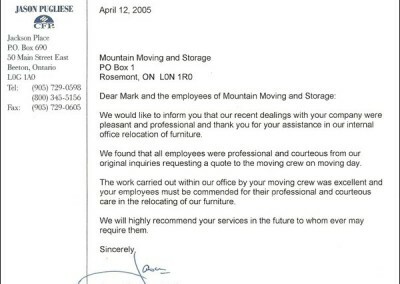 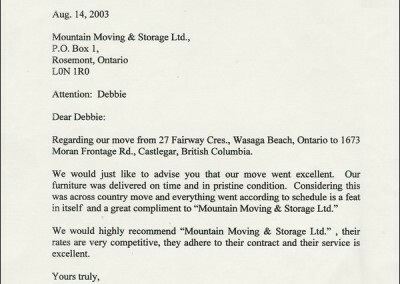 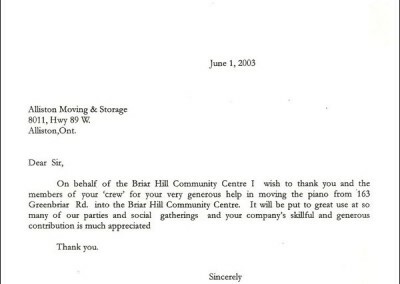 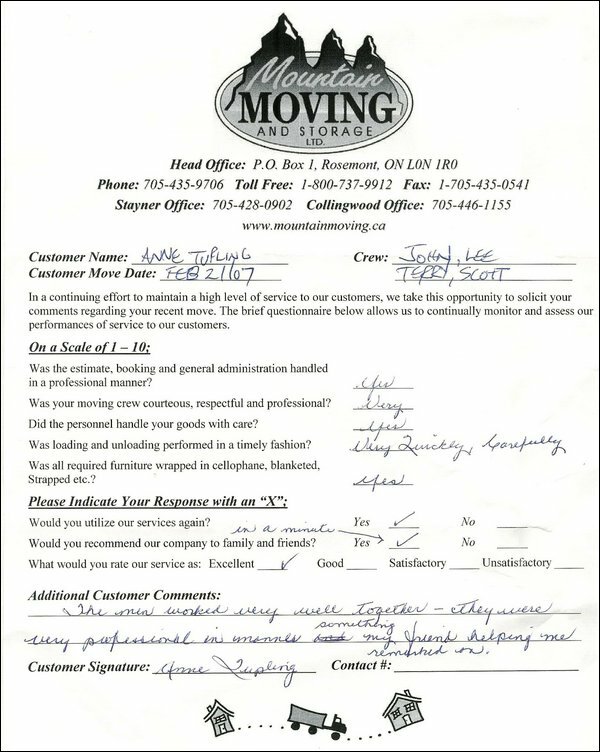 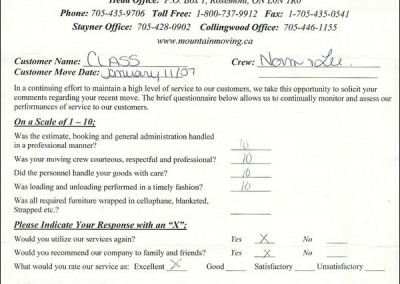 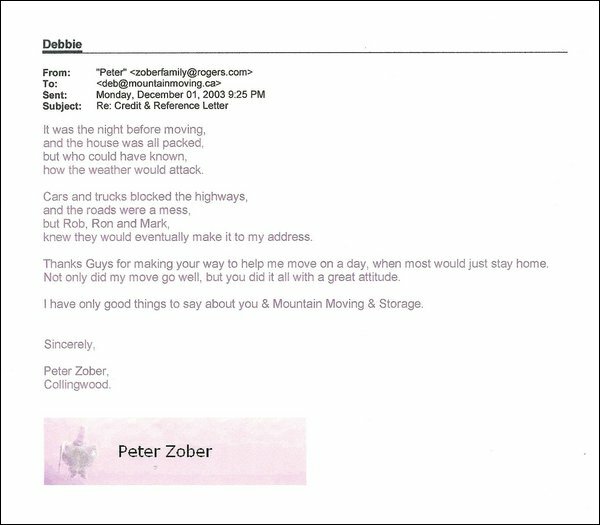 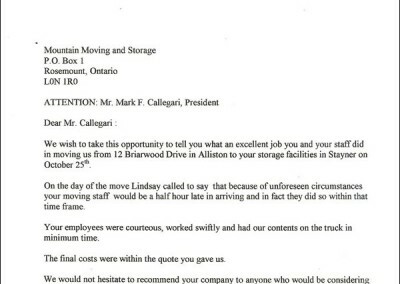 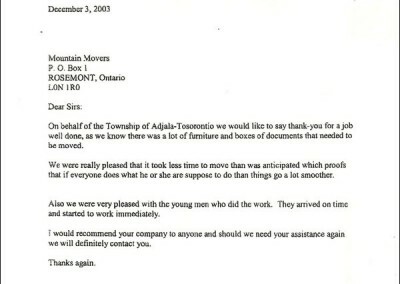 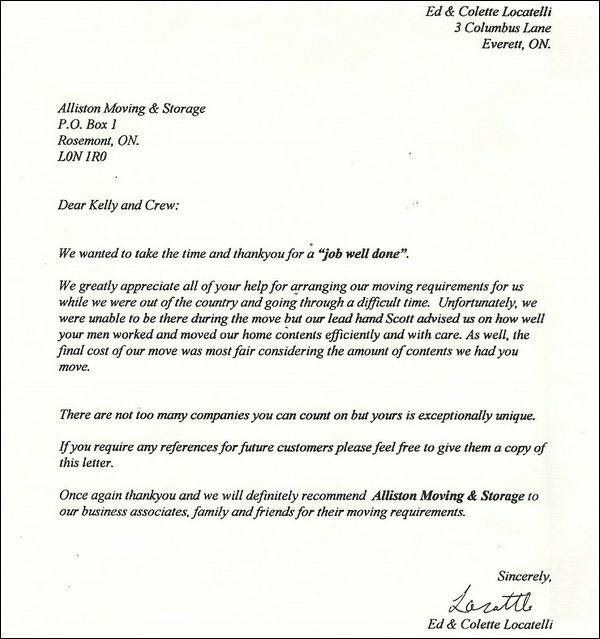 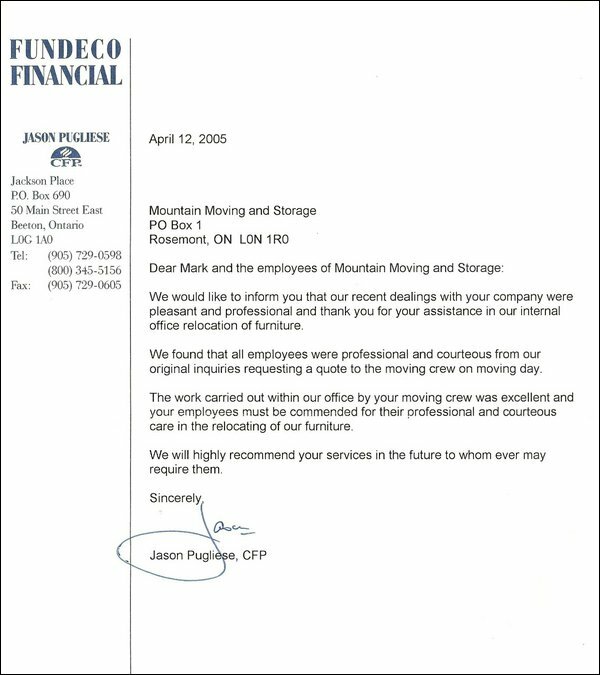 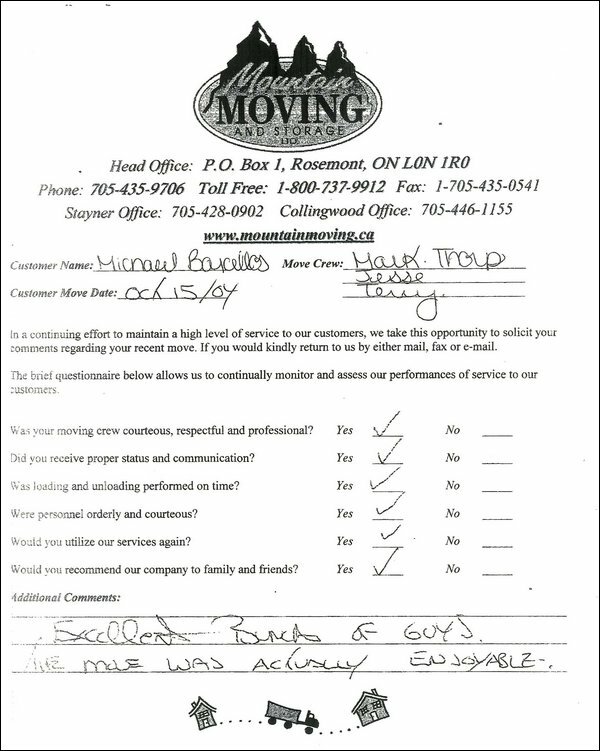 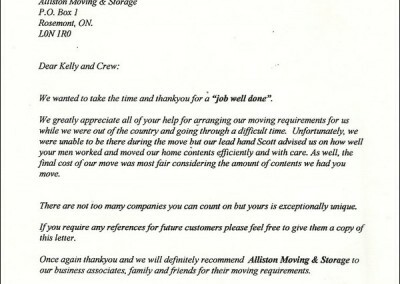 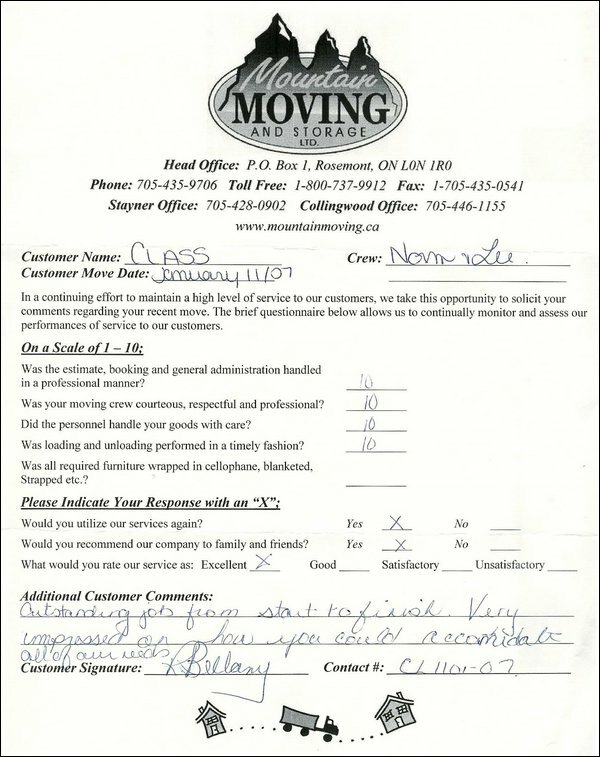 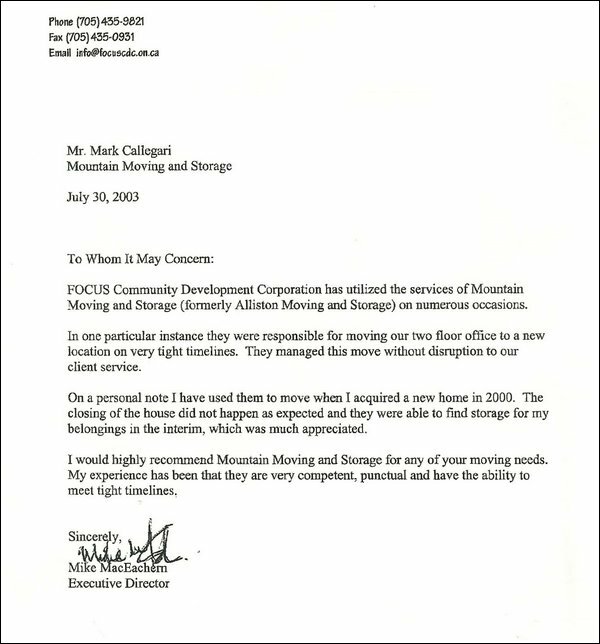 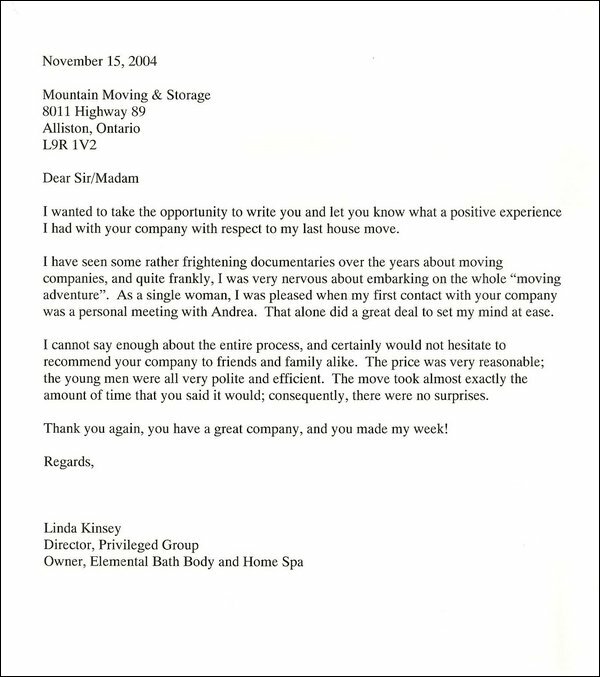 For over 25 years… Mountain Moving & Storage has helped thousands of customers and thousands of companies in the Greater Toronto and Georgian Triangle Areas. 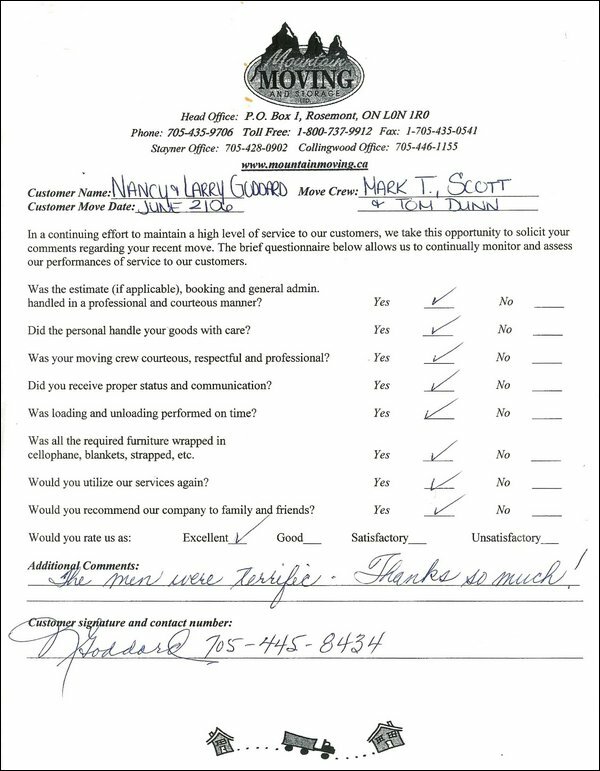 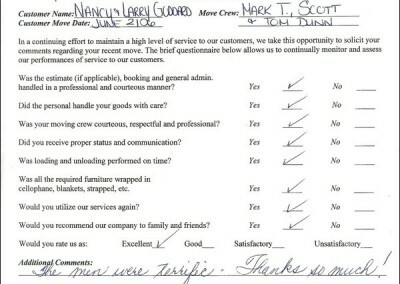 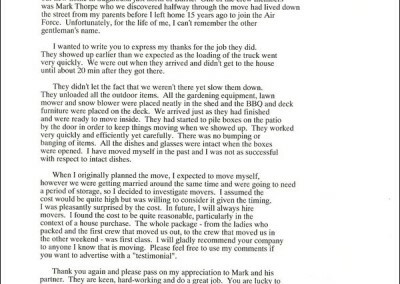 Here’s what some of those people have said about us. 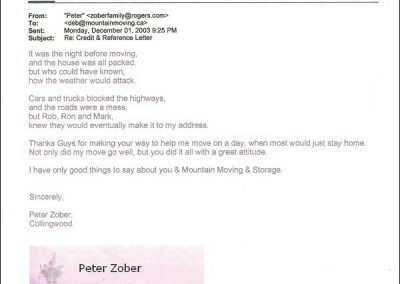 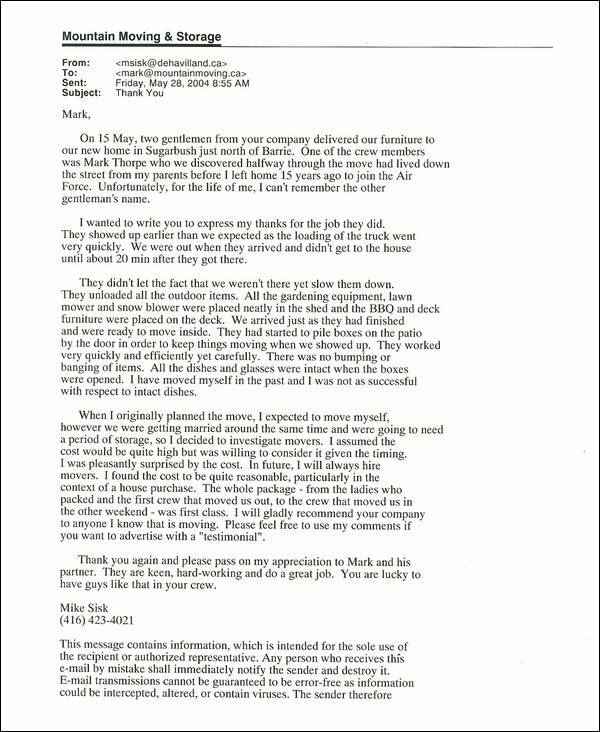 Click the letters to view.